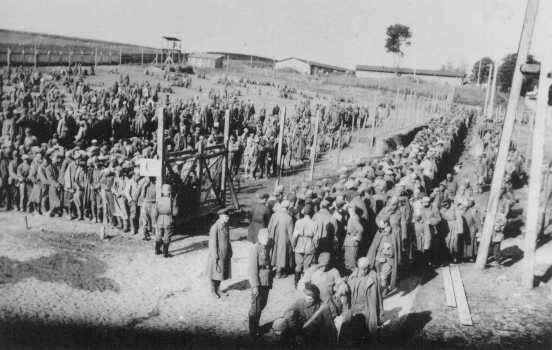 Germans guard prisoners in the Rovno camp for Soviet prisoners of war. Rovno, Poland, after June 22, 1941. Second only to the Jews, Soviet prisoners of war were the largest group of victims of Nazi racial policy.